I enjoy and am challenged by books written from the perspective of an unreliable narrator. 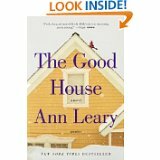 The most recent one I read was The Good House by Ann Leary. Hildy Good is a descendant of one of the witches hung in Salem. She lives in the area north of Boston. The challenge for me came from deciding how much of her story was true and how much was skewed by her drinking. Her self-awareness and denial entertained me, but kept me wondering how far off she was in describing her behavior. Her children sent her to a rehab center, so she had to be less in control than she thought. But was her denial any different from what I might do? Do I want to face my behaviors truthfully? Deal with them rather than justify them? Reading is for entertainment, education, and self-examination. The Good House covered all those purposes. What book has done that for you recently? Do you tend to stick with one purpose more than the others?